Beauty In The Mirror: Skincare update* Back2Basics! You may have read my tweets the other day complaining about the current state my skin is in! I've been using a few different products on my skin lately and don't really have a strict routine. That's the problem with being a 'Beauty Blogger' not bloggers are the same of course and I may well be the only one but I'm always striving for perfection and if a product has high claims I'm won over. Well my skin is not a fan of this, I do think that it's also my hormones to blame slightly because I've been experiencing blemishes just under my ears along my jawline! What's that all about? 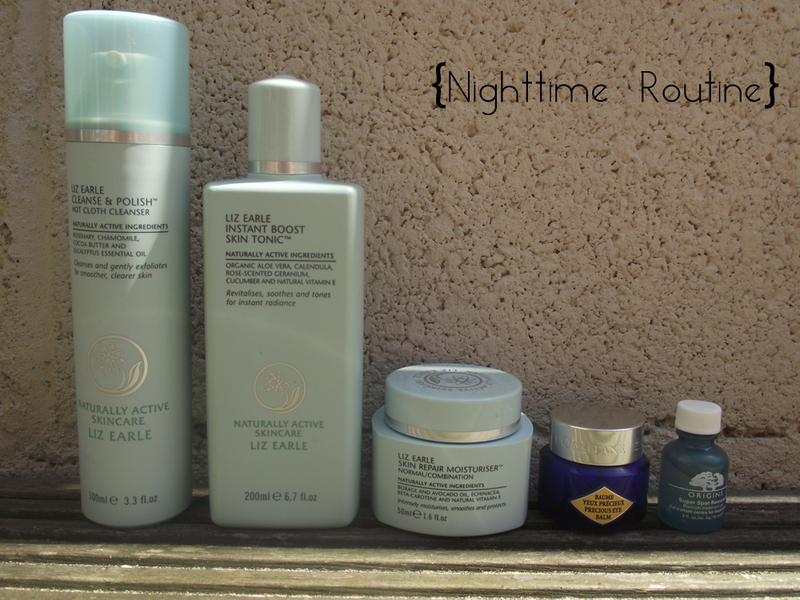 Anyway enough of my blabbering on, I've decided to go Back2Basics, so what other better skincare than Liz Earle. I've used Liz Earle on and off for many years now and it's the one skincare brand you can always rely on. 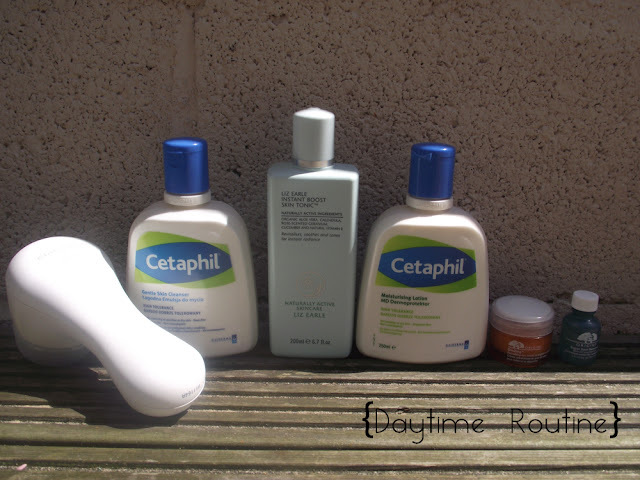 I've been using their 3 step system with Cetaphil Cleanser & Lotion. As for eye creams I'm still using my trusty Origins Ginzing day time and then my L'Occitane Precious eye balm for night time. Then for the blemishes I've been dabbing a small amount of the Origins Spot Remover over the top of them. I reached for my Clarisonic this week and I'm so glad I have this, I bought this with my Xmas money last year from BuyaPowa and got it for £90 which is an amazing discount off £120! I really recommend you sign up to their newsletters so you keep up to date with their latest co-buys. They have heaps of brands and different offers on. Plus they're really friendly and helpful. What skincare are you reaching for lately? I need a Clarisonic!! They look such amazing bits of kit! I'm the same - back to basics is always so much better for my skin! I've been keeping my routine simple for the last month or so and the difference is definitely visible!